If you are looking for easy play activity ideas for your baby, toddler or preschooler it doesn't get much simpler than playing with dried pasta and spaghetti. 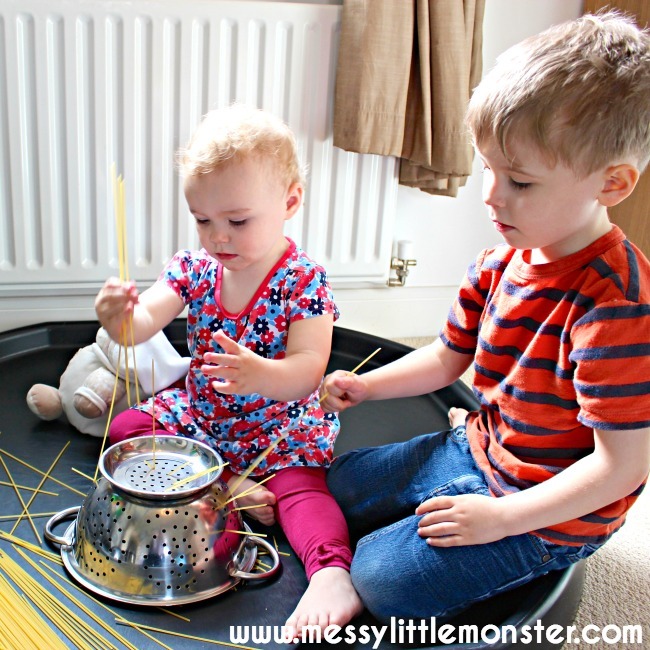 Pasta play keeps young children busy as well as working on their fine motor skills. Dried pasta activities make very little mess and they can be tidied away again quickly. 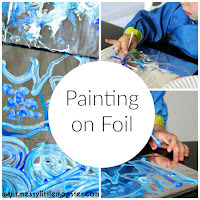 This easy play idea is one of our go to activities if we have a spare 5 minutes to fill as it is so easy to prepare and tidy away. 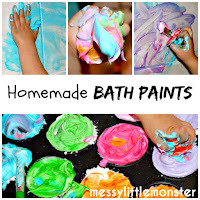 Looking for more simple toddler activities? 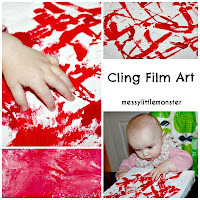 Make some sensory bags following our how to make sensory bag instructions, make some taste safe ice paints or do some mess free painting in a freezer bag. 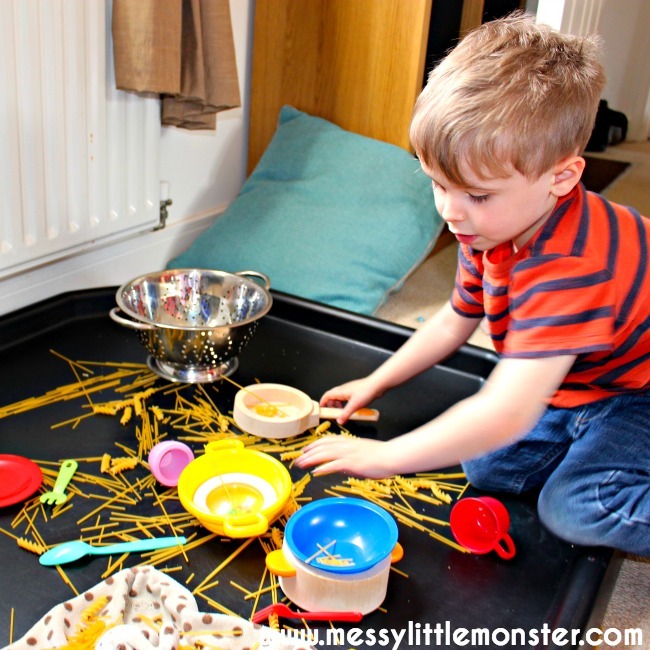 We usually play with our pasta in our large tuff tray (UK affiliate link) to make tidying up even easier. 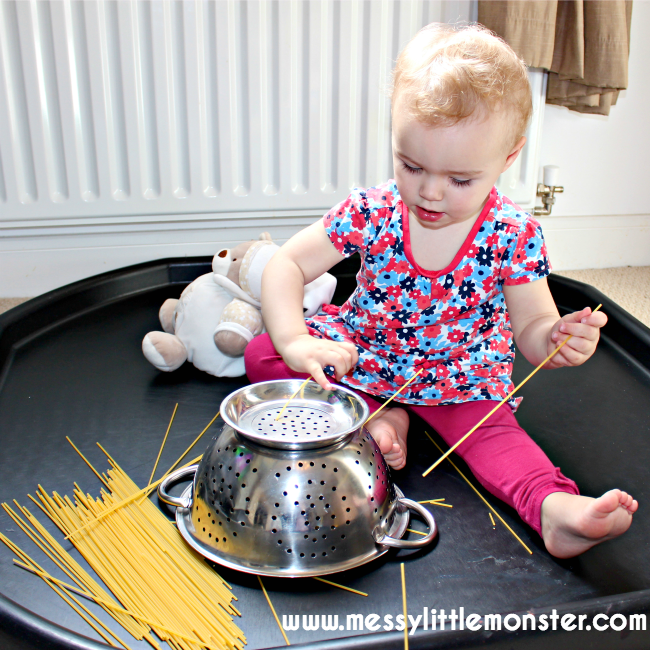 Posting spaghetti through a colendar is brilliant for toddlers fine motor and concentration skills. Daisy (21 months) will spend ages trying to post the spaghetti through the holes. She loves seeing the pasta snap when she pushes it too far. Even Harry (aged 4) likes to join in! 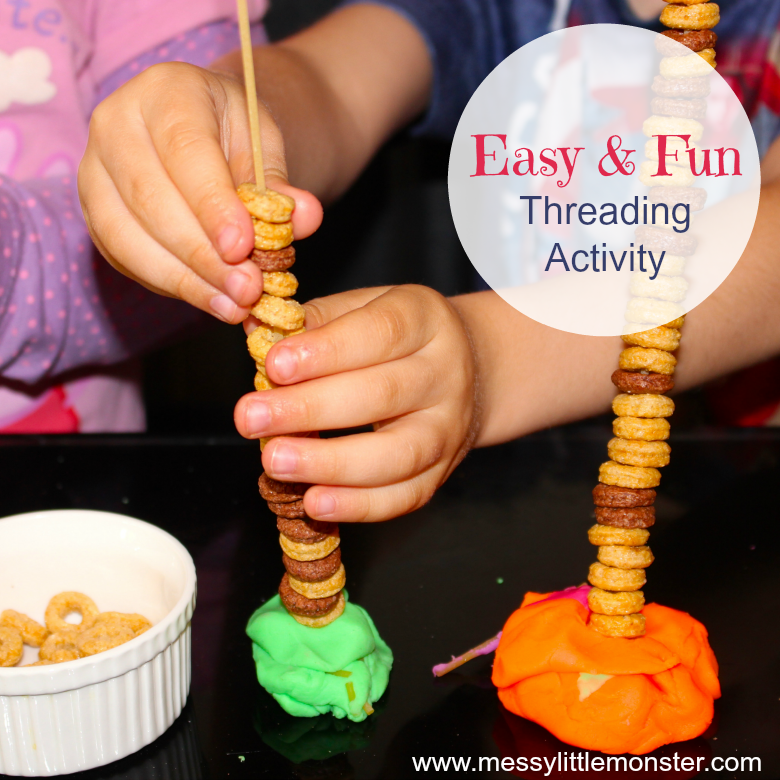 Threading cheerios on dried pasta is also a great activity for working on fine motor skills. Read more about the supplies you need and how we turn this pasta threading activity into a fun challenge. 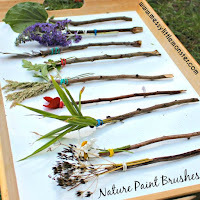 Dried pasta is also brilliant for developing children's imaginative play. Harry and Daisy love playing together making tea for their teddies. They mix the different types of dried pasta up in the pans and share it out amongst their teddies and dolls. Harry is really imaginative and often makes all kinds of weird and wonderful recipes! It is good to have a variety of pasta. Toddlers can explore and investigate the size and texture of the different pieces of pasta and preschoolers may enjoy sorting the pasta into containers by type. After we have finished playing with our dried pasta we simply scoop it all up and store it in an old biscuit tin. We just throw it all in as it is, even if some bits are broken. 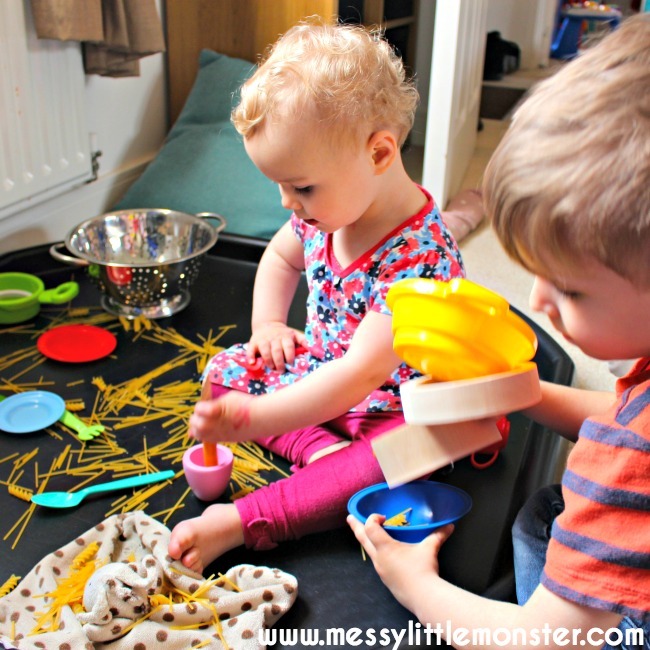 This makes clean up really fast and easy and the children always find a use for all the little pieces of pasta next time we get the activity out. 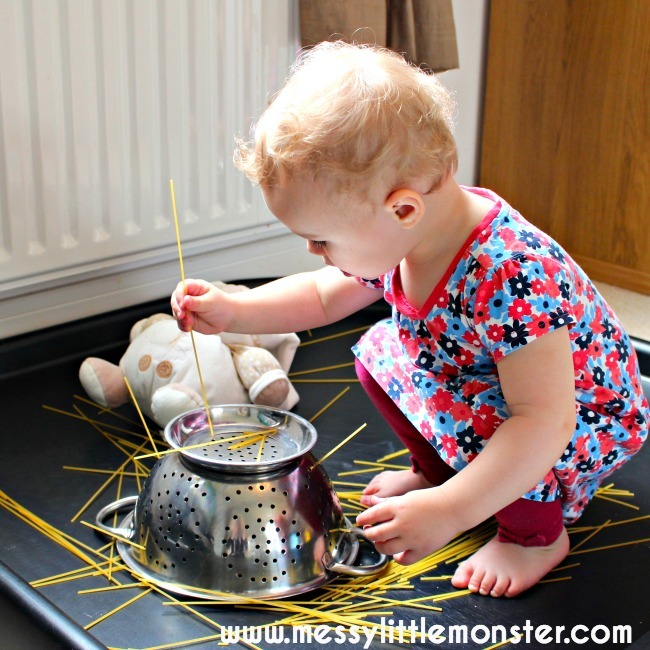 The easy pasta play activities for toddlers and preschoolers mentioned above all use dried pasta, which make them easy to set up and tidy away, but if you want your toddler or preschooler to have access to a new sensory experience why not make and play with rainbow spaghetti. 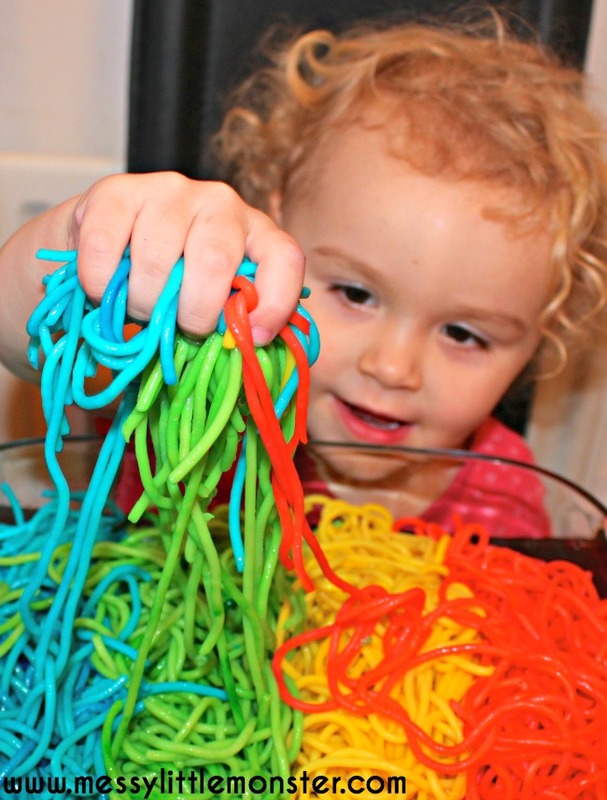 Giving your child coloured spaghetti to play with will feel totally different to the dried pasta and can be lots of fun. Here is our rainbow spaghetti recipe. Just follow our simple instructions on how to make colourted spaghetti and then give it to your toddler or preschooler to explore. 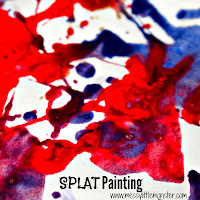 It is a bit more messy and atkes a little longer to prepare than playing with dried pasta, but it's lots of fun! 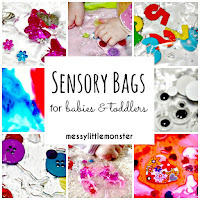 We hope that you have found a few fun and easy ideas to try with your toddler or preschooler. 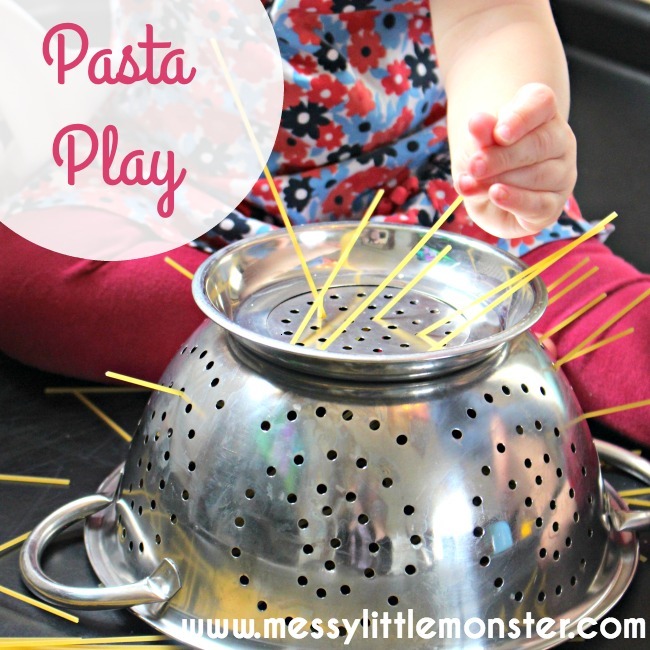 Put some pasta on the shopping list and have lots of fun with these easy pasta play ideas.